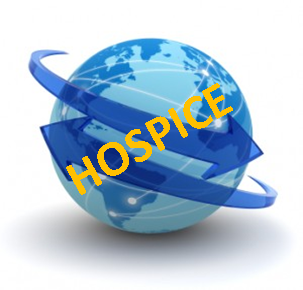 In this webinar we will explore the changing landscape of the hospice industry. We will discuss the increased regulatory scrutiny through the use of Medicare data as well as the increased cost burden of hospice patients. Attention will turn to understanding diagnosis and dilemmas faced when admitting patients with non-specific illnesses. Unrelated vs related medications will be covered as well as proper documentation that captures ICD 10 codes and eligibility requirements. Finally, we will discuss the move toward a value based payment system. Janet Bull, MD, FAAHPM, is the Chief Medical Officer at Four Seasons Compassion for Life, a nationally respected, award-winning hospice and palliative care non-profit organization in Flat Rock, NC. She is a Fellow of the American Academy of Hospice and Palliative Medicine (AAHPM), board certified in hospice and palliative medicine and a frequent speaker at both state and national meetings. Dr. Bull directs the research department at Four Seasons and has served as the Principle Investigator on over 41 clinical trials in hospice and palliative medicine. She is Program Director of the Palliative Care Immersion Course and directs Four Seasons’ Center of Excellence which offers consulting services in hospice, palliative care, and research. She holds a consultant assistant professorship in the internal medicine department at Duke University Medical Center, and is a clinical instructor in Medicine at UNC- CH Henderson Family Practice Residency Program. The presenter has declared no conflict of interest for this program and will present fairly and without bias.